The Ducks, led in the wrong direction by Paul White, still look like they don’t even know their own offense. Very little movement, terrible offensive decision making, and four guys standing around wondering who else is going to go one-on-one. But if Coach Dana Altman saw what others did, Oregon could be fine. Will Richardson grew up against Houston, and we’re now waiting for Altman to sit White and start Richardson. Oregon needs Richardson’s quick decision making, ability to penetrate, and instincts to keep the ball moving. They could use a lot less of White’s soft effort at both ends. 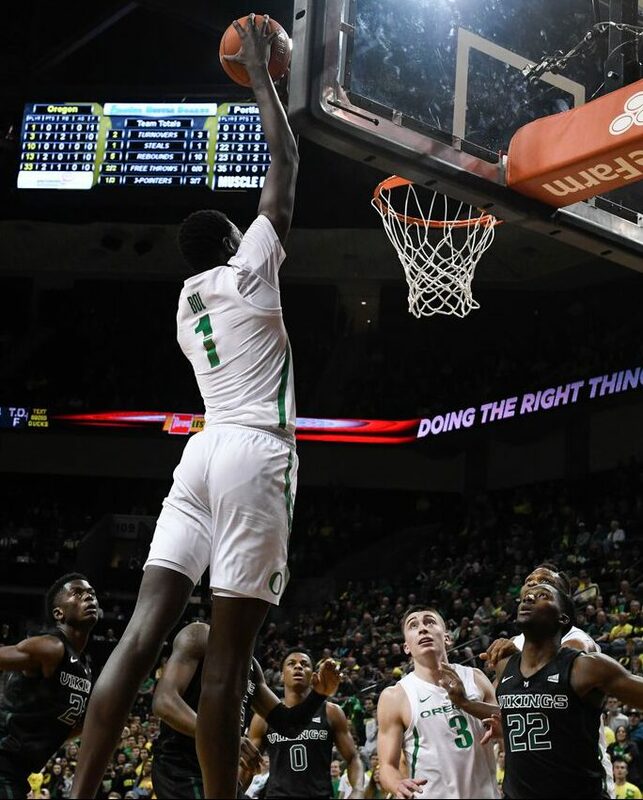 Bol Bol has been most of Oregon’s offense this year. Against Houston, the only time they moved the ball was when Richardson led the offense from the top or drove the lane himself. For the rest of the night, Oregon set terrible screens, stood around with the ball, didn’t move away from the ball, and when they received a pass they stood around and wondered what to do next. They are clearly at a turning point. Just for the record, White went 1-5 and 0-3 from behind the arc, adding a whopping one rebound, and mostly took the ball on the wing … then dribbled once and threw it back to the top. Why even get the ball? I know I’m hammering him, but his production in about 30 minutes was non-existent. 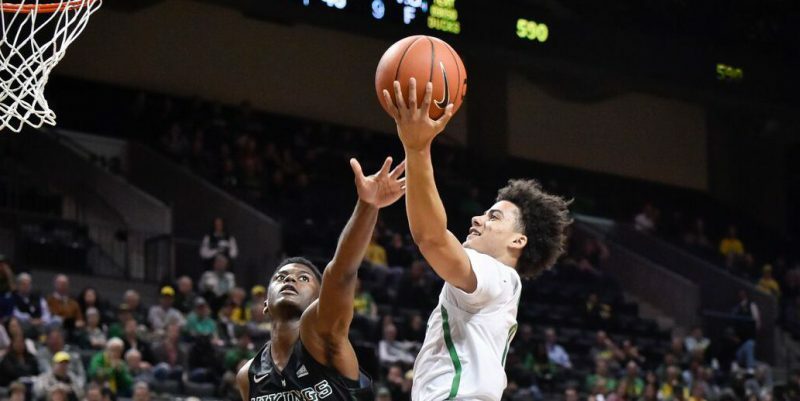 Coach Altman loves seniors and experienced guys, but with Ehab Amin, White and Kenny Wooten on the floor with Payton Pritchard and Bol Bol, Oregon has only two offensive players. Teams double Bol and force Pritchard to put it on the floor instead of shooting jumpers. All of this makes Oregon a very easy team to defend. 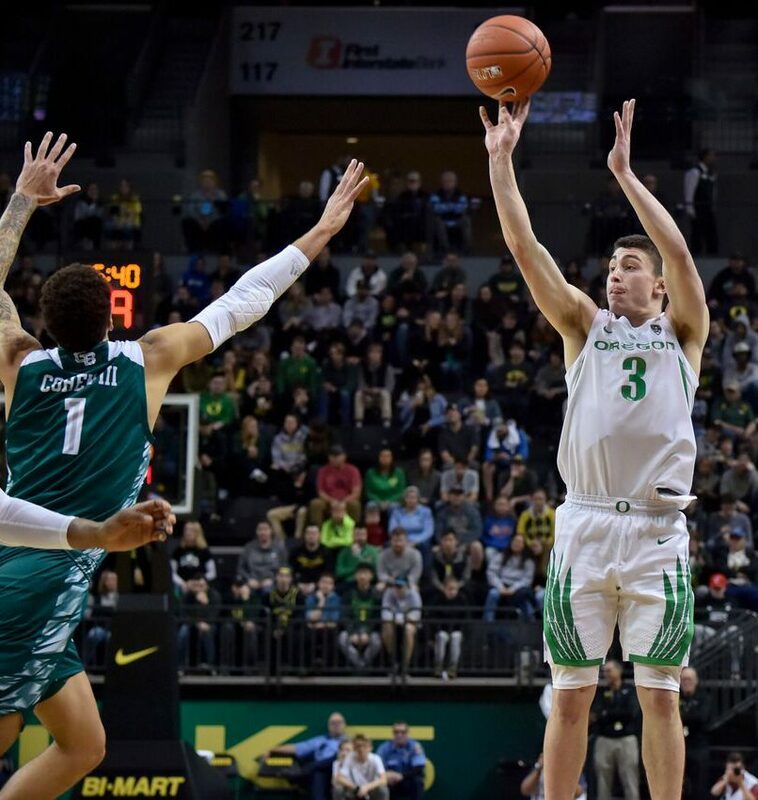 Pritchard is Oregon’s only other consistent scorer. I still have faith that the Ducks can have a great season. But they need to figure out their offense, and right now they’re as cold as the other side of the pillow. Richardson’s stats? Sixteen points on 5-8 shooting, 7 rebounds, 5 assists, and he created for others at the same time. Start Richardson, put Bol on the high post, let Pritchard run off screens to shoot from the wing, and watch the offense take off. Oregon is going to be fine, and they’ll make the NCAA Tournament. I’m looking forward to seeing them turn this around. What else would you like to see? A different lineup? More touches for Bol? Let us know.